Prof. Imam Soharwardy is a Sunni scholar and a shaykh of the Suhrawardi Sufi order, as well as the chairman of the Al-Madinah Calgary Islamic Assembly, founder of Muslims Against Terrorism (MAT), and the founder and president of the Islamic Supreme Council of Canada. He founded MAT in Calgary in January 1998. He is also the founder of Islamic Supreme Council of Canada (ISCC). Mr. Soharwardy can be contacted atsoharwardy@shaw.ca OR Phone (403)-831–6330. Scott Douglas Jacobsen: Although, humanists, as young people, want to find community and dialogue. That can come in the form of dialogue in community with young people who are from religious communities. With respect to the Canadian Muslim community, what are some ways the young humanists and the young Muslims can have a respectful debate or dialogue, or a sit-down coffee to know someone of an opposite worldview to see where they are coming from and see that there are people behind these beliefs? They are not simply beliefs. Imam Syed Soharwardy: If you attend my congregation, especially the youth groups, you will see the lively discussion that I have with our students. There are teenage boys and girls up to 20 years old, or 18 or 19. I have a son. I have a daughter. I have always asked my own son and daughter not to be a Muslim because your parents are Muslim. You want to be a Muslim because you believe in Islam and through your own conscience. It says to question everything in the Quran, then you will get the answer. We must not be a blind follower of the religion, or humanism, or any belief, whether naturalist or spiritual belief. We need to understand why we believe. Is our belief system natural, normal, common sense or not? That is why I love to talk anyone of any age, young or old, girls or boys, and answer their questions. Islam, in my opinion, and, of course, people disagree with religion; I follow a natural, normal, common sense of way of life. Yes, there is a belief system. There is a concept of God. There is a concept of life after death. However, the steps to those make sense in intellectual discussion, not simply blind following or blind beliefs because I was born into a Muslim family. It is because it is a natural, normal, and common sense religion. I never discourage any youth who have questions in our congregation. You can question everything, every personality. You can question every symbol in Islam, but there is an explanation. What happens, Scott, you talk to someone who does not understand his or her own religion. When the person him or herself is confused, somebody goes and asks the question, but the person cannot explain properly. People think, “This is a stupid or a bad religion,” because they do not know what they are believing in. But, by the Grace of God, I am not bragging about myself. I hope that when somebody will talk to me that I should be able to answer their questions in a normal, common sense way. Jacobsen: I like talking to you. I find the conversations enjoyable. Jacobsen: With raising children within the Islamic context where questioning is allowed and encouraged, what can a young person do who happens to, unfortunately, not be encouraged in a home setting? Where the faith is forced on them and no reasons are given except that the parents happen to believe it? I notice this in Canada. The two bigger faiths are Roman Catholicism and Protestantism. I would assume in Sunni or Shia Islam. In many households, it would be akin to that, where the questioning is not encouraged and the young person may not have developed the capacity. They may not have had capacity be encouraged to be developed to question those things. If they have a faith, they have a robust faith. If they do not have the faith, they feel okay and comfortable with their family in not believing. Soharwardy: I completely agree with you. There will be families in the Muslim community who do not allow their children to question the faith. Some of the people and families are rigid. They have been told some things and simply follow it. In my opinion, that belief is against Islam. It is against what the Quran teaches believers. That you should be pondering, exploring, and seeking. To be a blind follower, that person loses the spirit of Islam. Some families, they do not allow thinking. It causes a serious harm to the boys and girl who have been forced to follow a belief system. Their heart is not in it. In Islam, it is a requirement of Islam, a requirement of faith, to practice Islam based on your heart. In Islam, no good deed is accepted by God. Unless, your heart is in it. Prophet Muhammed (peace be upon him), he has said it. In one of his sayings, the acceptance of your actions depends on the intentions behind the actions. If my intention is not to pray 5 times a day, but I have been forced to pray five times per day, that person should know, according to Islam, their prayers are not accepted. Soharwardy: Nobody should be forced to pray five times per day or fast during the month of Ramadan. It is absolutely non-Islamic that somebody is forced to follow Islam. lslam does not recognize a person’s faith if that person has been forced. I always say that it bothers me, sometimes, when the newspapers talk about these terrorist groups. They are forcing people to convert to Islam. If people are forcing people to follow Islam, and if there is no compulsion in religion, then Islam does not recognize that person as a Muslim. If I am forcing my children to pray five times per day because it is a requirement of faith, and if they do not want to because they do not have their heart in it, they may pray today and tomorrow. When they grow up, they may develop a rebellion against the traditions, rituals, and prayers, which were forced on them while they were young. Why do we want to do these things while when they become adults, they will be against it. I think it is very important for parents to teach their children explain, answer questions, let their children think and question. I remember, Scott, I had a debate with Irshad Manji. I think you know of her. Soharwardy: She wrote a book, The Problem with Islam Today. I had a debate with her in her home in Toronto. She wrote that when she was a small child in B.C. Her mother sent her to a mosque to learn Islam. When she had questions, the teacher said, “Shut up! Do not ask. This is in the Quran, follow it.” This is Irshad Manji as a small child. It was normal for her as a child to ask those questions. The teacher messed her up. The teacher could not answer the questions. What happened? She developed the attitude of rebellion against the faith. If people, if the Muslim parents, continue to do these things, then they will lose their children. Their children will lose Islam. We should let them get the answers. If they do not want to do it today, then let them be as they are, God willing, once they understand, they will come back. Scott Douglas Jacobsen: With respect to open societies and closed societies, Canada is an open society and a constitutional monarchy, but also a pluralistic, multiethnic, and multifaith, society. It comes with a lot of complexity. In any open society, any movement on any of the dials of the society in terms of progress or non-progress — in other words, openness or closedness — of the society — starts with dialogue. What are some ‘hot button’ things that people are potentially afraid to talk about and is allowing the vacuum of conversation to be filled by the more extreme voices? That may be leading to a more closed society rather than a more open, tolerant one. 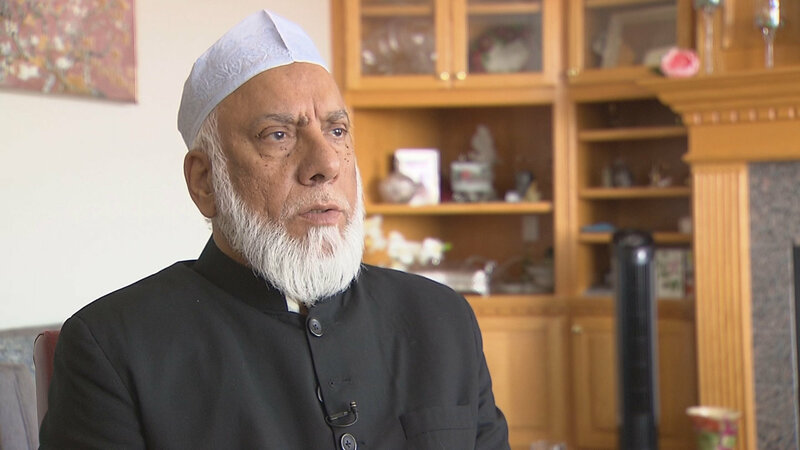 Imam Syed Soharwardy: In my opinion, in an open society like Canada, people should be allowed to express their opinions. Sometimes, it could be an offensive opinion. Sometimes, it could be a very strong disagreement, but people should be allowed to express or ask what they want to know without persecution or fear of backlash. An open society, it is also in danger of a certain element of the society taking advantage of the freedom of the society, which it enjoys, and then try to undermine a segment of society, a group of people, by intimidating them, bullying them, and so on. An open society does not mean people have the open freedom to spread hate against a segment of society. An open society means, what I understand, having an open dialogue, critical discussions, criticizing each other on different topics. That is absolutely fine. The civil discussion is absolutely fine. What is, in my opinion, in an open society should not be done is causing harm to a segment of society, which may be a small minority of the society; however, they have the equal rights to live in the society with respect. That is the norm that has to be in place. Otherwise, civil society will not be a civil society. It will be the law of a jungle. Openness does not mean that I cannot question a religion. The openness that, yes, I should be able to question and be able to ask questions. However, I have to have an attitude to get know or understand others, but not to incite or stereotype the whole community of that particular group. That is what it is. That is the beauty of Canada. In Canada, there is a balance of freedom of expression as well as a responsible society. Sometimes, it leads to abuse. Then there are laws in place to prevent the abuse of this freedom. I think intolerance increases if we do not allow people to ask questions because when people are oppressed or controlled. They develop the anger in their hearts, in their insides. There would be a time when the anger comes out and becomes violence. In order to prevent violence, let the people express, so they can have a civil dialogue, I want to add one thing here. If you remember, the cartoonists published the pictures of Prophet Muhammad (peace be upon him). I was the one who took him to the human rights commission. He always says that I took him to the human rights commission because he drew the cartoons of Prophet Muhammad (peace be upon him), which he thought he had the freedom to publish the cartoons. That is absolutely not my understanding. Yes, he has his view to have his view on what he does not understand. My problem is not that he does not accept my prophet, but it does hurt me when someone portrays and makes fun of my prophet. It hurts. I understand that the speech that could hurt someone is legal and allowed. I understand that. We should have the tolerance to hear hurt people. When I saw those cartoons, it was not about the Prophet Muhammad (peace be upon him). It was about the Muslim community to be stereotyped. Because people have to understand. The Islamic faith is not like today’s Christian society, today’s Jewish society. The majority of Muslims, even in the 21st century, have a belief in Islam, which is nothing but the sayings and actions of one man. It is Prophet Muhammad (peace be upon him). Prophet Muhammad is not just one person in the Islamic faith, one prophet in the Islamic faith, or a leader of the Islamic faith. Prophet Muhammad (peace be upon him) is Islam. When someone represents him as a terrorist, whcih was what the cartoons were about, it means that you are representing the whole religion of Islam as terrorists. That is not acceptable. That is, in my opinion, hate mongering. That is why I stood up against it; anyone can criticize Islam. We live in a free society. It is absolutely fine. But no right to stereotype a society with hateful, symbolic, barbaric language. Jacobsen: You were also part of the atheist bus campaign in Canada, in small part. What was your role in that? What was your stance on that? Soharwardy: That was my campaign by the way. When I heard the Freethought Society of Canada is running a campaign, I thought that if they have the freedom to express their view about God. Jacobsen: [Laughing] This is great. I love that. Soharwardy: This was our campaign. It was civil. There was no hate. There was no violence. From either side, it ended in a peaceful way, like a Canadian way. Jacobsen: [Laughing] That is true. I like that. Thank you for the opportunity and your time, Imam Soharwardy. Scott Douglas Jacobsen founded In-Sight: Independent Interview-Based Journal and In-Sight Publishing. He authored/co-authored some e-books, free or low-cost. If you want to contact Scott:Scott.D.Jacobsen@Gmail.com,Scott.Jacobsen@TrustedClothes.Com,Scott@ConatusNews.Com, scott.jacobsen@probc.ca,Scott@Karmik.Ca, orSJacobsen@AlmasJiwaniFoundation.Org.